From Lido. Lines: 4.2, 5.2, 6, 1. Parkings around the lagoon offers numerous links to Venice, so you can get to the town through autobus and vessels. San Giuliano: ASM S. Giuliano: telef. 340 7038574 (8:00 to 20:00 hrs), cost until 3 hrs € 2,00, entire day € 5,00. GPS position: 45.466830, 12.283112 . Pili park (Marghera): From these car parking areas, located just before the long Ponte (bridge) della Libertà, (linking the City to the mainland), in Via Righi, it is possible to reach the historical center by a 5 minute bus ride. Phone +39 041 5318670, € 5,00 from midnight to next midnight. Green Park: telephone +39 041 5317315, daily rate 5,00 euros. -See more at: http://www.innvenice.com/en.Car-Parkings.htm. 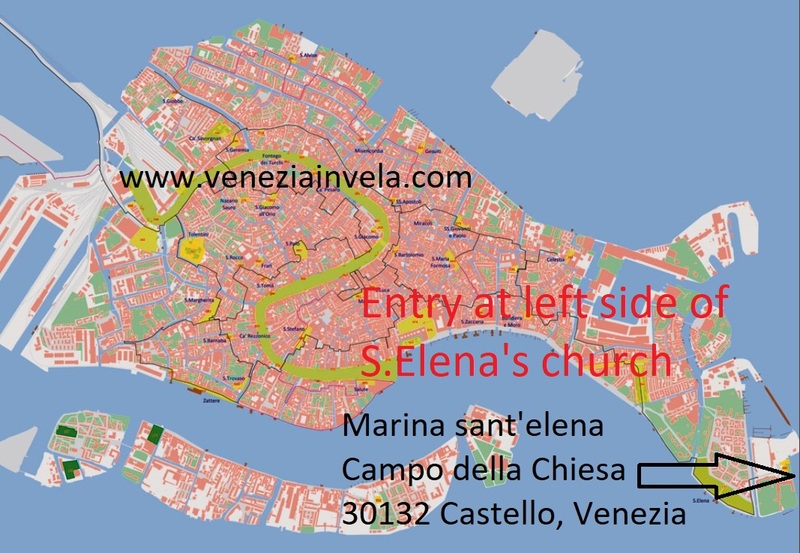 You can arrive in Venice by bicycle lane along ponte della libertà and park your bike at the end of it. There is also a park with rack on Santa Lucia railway stations, near the last track, n° 23. Alternatively you can put your bike on a public guarded park at Mestre railway station. Alilaguna vessels, or ATVO shuttle. From Antonio Canova (TSF) airport ATVO shuttle. or line 6 direct to Treviso railway, then train to Venezia Santa Lucia: http://www.mobilitadimarca.it/urbano-treviso + www.trenitalia.comhttp://www.alilaguna.it (waterbuses airport – Venice),. Maritime station San Basilio. Catch the line 6 or 5.1 (direction Lido) and go down on Sant’Elena stop.